Originated by Michael Harner, this intensive training in advanced core shamanism is described by former participants as "amazing," "transformative," "life-changing," and "the most important experience of my life." "It was a fantastic course, eye-opening, indeed I would go so far as to say life-changing. Nan and David are fantastic facilitators and teachers and their integrity shines through in everything they say and do. It truly was a privilege to be in their company for the two weeks." A variety of advanced methods are practiced in this residential program, including extraction healing, core soul retrieval training, psychopomp work, divination, and work with the spirits of nature. There will also be work that is not included in FSS weekend workshops, such as selected advanced healing methods, the dream dance, explorations, and initiatory experiences. This is the centerpiece annual program of the Foundation and the best preparation for the Three-Year Programs. Enrollment is limited and early application is recommended. To assure a place in the program, please return your application promptly; acceptance will be according to priority received. This residential program will be held at an idyllic retreat center near Madison, Virginia, where the beauty and healing energy of the land is a powerful environment for the work. There are 130 acres of bountiful woodlands, meadows, and gardens, which provide peace, serenity, and an opportunity to connect with nature. There are at least 70 species of birds and abundant wildlife, as well as hiking trails and a scenic walk down to the Rapidan River. The Blue Ridge Mountains and famous caverns are close by. Healthy and delicious meals of fish, chicken, and vegetarian entrees are accompanied by homemade breads, soups and desserts. 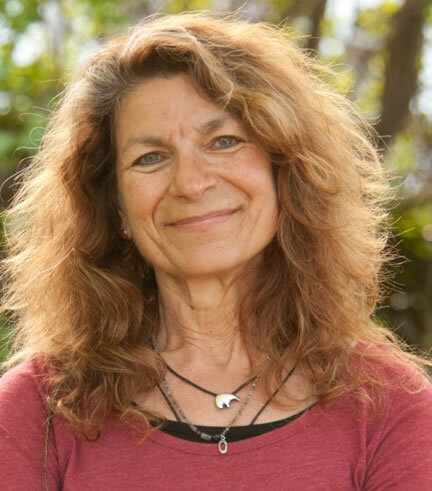 Nan Moss has been a faculty member of the Foundation for Shamanic Studies for more than a decade, and is certified (CSCÂ®) in Harner Shamanic Counseling by the Foundation. She teaches both beginning and advanced courses for the Foundation at locations throughout the Northeast, including Boston and New York City. In addition to her training in Core Shamanism with Michael Harner and other faculty of the Foundation for Shamanic Studies, Nan has also studied with indigenous healers from various cultures, including Siberian, Tuvan, Sami, Chinese, and Native American healers. Nan, along with David Corbin, is the author of Weather Shamanism: Harmonizing Our Connection with the Elements and the divinatory card set Cloud Dancing: Wisdom from the Sky, as well as two articles on the spirits of weather, published in Shamanism, the journal of the Foundation for Shamanic Studies. Nan holds a B.A. in anthropology from Washington State University and a B.S. in education from Western Montana College (University of Montana), including postgraduate studies in adult education at Montana State University. She has worked as a rural schoolteacher in Montana, and as a fire lookout and forestry technician in southern New Mexico. PREREQUISITE: the FSS Basic Workshop: The Way of the Shaman.